Sophie Toscan du Plantier was murdered at holiday home in Schull, Co Cork in 1996. IAN BAILEY HAS written to the Taoiseach Enda Kenny to appeal for his help in his upcoming trial for the murder of the film producer Sophie Toscan du Plantier. Bailey was presented with an indictment by French authorities last year for the 1996 murder of Toscan du Plantier in west Cork. He told RTÉ’s Drivetime this afternoon that he is digesting the file delivered and will talk to his lawyers about a defence case and will “ultimately take their advice”. He maintains his innocence saying in the report “I had nothing to do with this terrible crime”. Bailey said he doesn’t have the means to hire a meaningful legal team in France, and that it was very possible that he would be tried in absentia because of this. He has said previously he doesn’t feel that he will get a fair trial in France. He said French authorities have “become obsessed with the false narrative that I had something to do with this crime. I think [the family] were told early on ‘we know who killed your daughter’ and that was given to them very early on”. Alain Spilliaert, the Toscan du Plantier family lawyer said that they were confident that under the circumstances they were going to get a conviction, but that he “cannot enter into the merits of the case on the radio. Comments have been closed as the case is due before the courts. 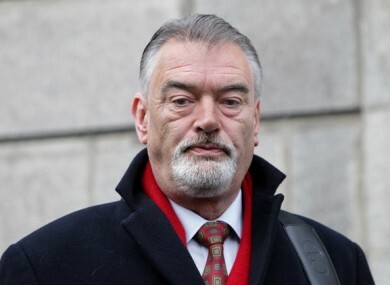 Email “'I had nothing to do with this terrible crime': Ian Bailey appeals for Enda Kenny's help ”. Feedback on “'I had nothing to do with this terrible crime': Ian Bailey appeals for Enda Kenny's help ”.